Plissé I hear you ask? Pronounced plea-say, this texture is a hot trend right now, as are metallics and I love them both. The thing I love most about this Plissé skirt is that you can dress is up or down. In today's post I have demonstrated how I would wear this day-to-day but equally I cannot wait to put a dressier spin on it. 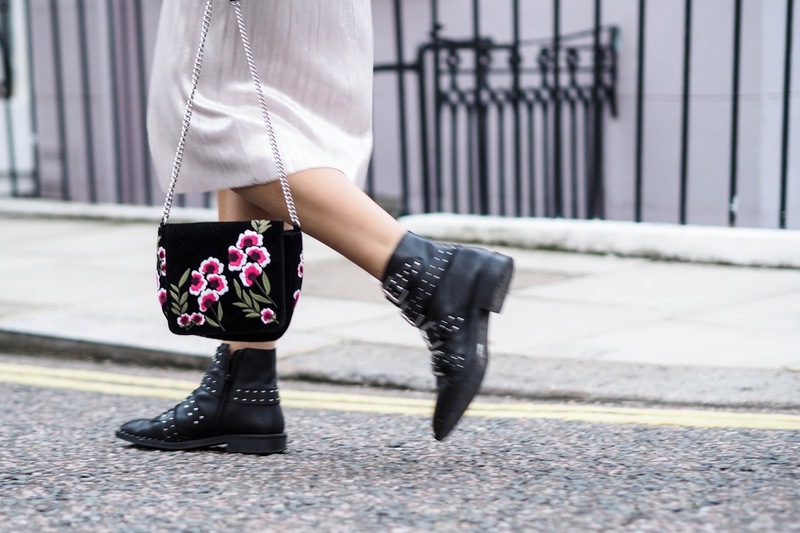 Swap these studded boots for a barely there heeled sandal and you've got yourself a skirt so perfect for the party season which will be in full swing come December 1st. There's nothing like a metallic to get the festive season off to a good start. I cannot believe it's nearly that time already. With that said, they say an accessory can make or break an outfit. Whilst I love the varying textures of this knitted jumper, suedette jacket and plissé midi skirt this outfit in my opinion needed that extra oomph. 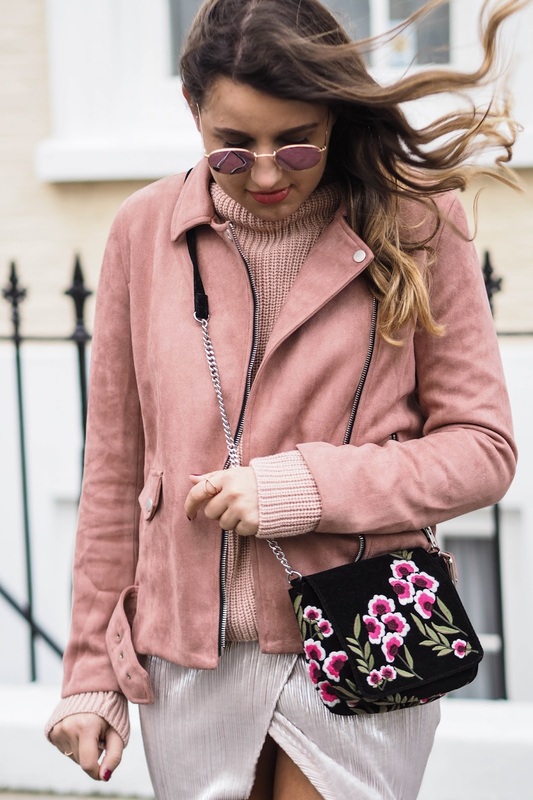 Floral embroidery and crushed velvet are two major trends for AW16 and this bag hits the nail on the head with its 2-in-1 capability, plus its absolutely gorgeous. To be fair, you could throw this bag at any outfit (within reason) and it would show it up. 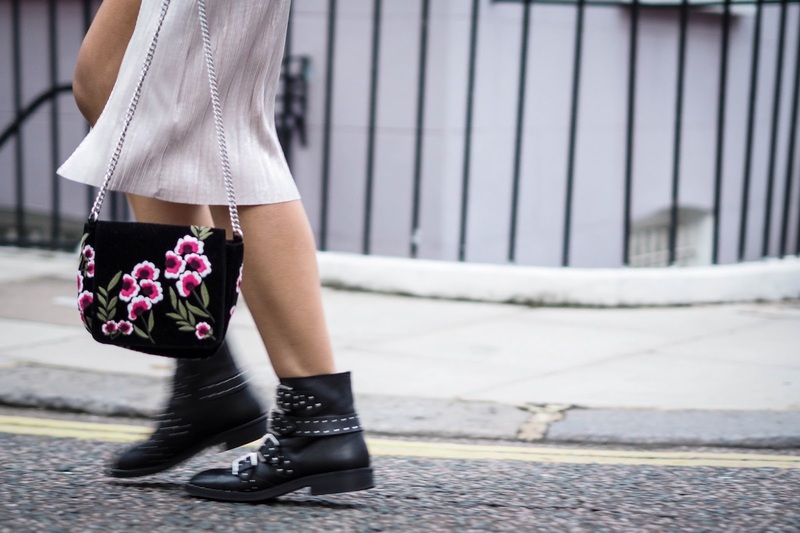 It's something about floral embroidery that gets me every time. Wouldn't you agree? 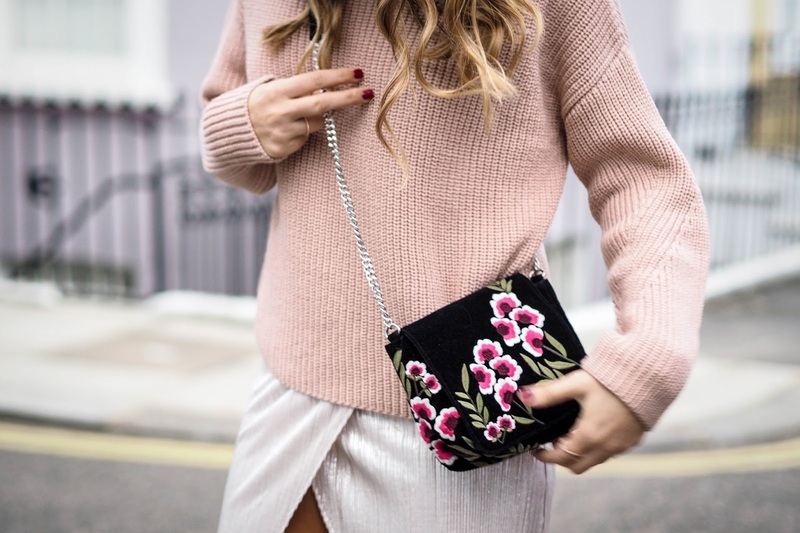 I am loving slinky skirts with chunky knitwear at the minute!